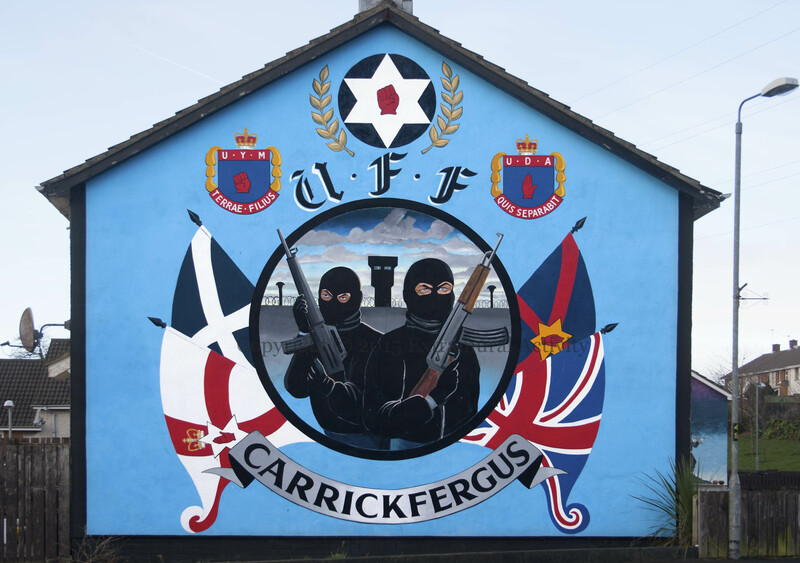 The upper flag on the right-hand side of this mural – purple saltire on a blue background with star and red hand – is the proposed flag of Ulster nationalists. The position was espoused by the UDA of the 1970s, under the guise of the political parties the Ulster Loyalist Democratic Party and the Ulster Democratic Party, and for a time by the Red Hand Commandos under the Ulster Loyalist Central Coordinating Committee. Previously: Northern Island. For the mural in the background, see Out Of The Trenches.